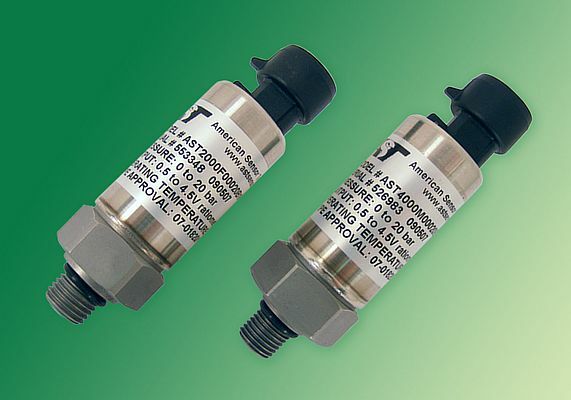 American Sensor Technologies has obtained 79/2009/EC approval for two pressure ranges of its AST Model AST2000 and Model AST4000 OEM pressure sensors. The approval is a necessary European Community Directive for components and systems intended for installation on hydrogen-powered vehicles. The 79/2009/EC approval was obtained for the 2MPa range of the Model AST2000 and Model AST4000 pressure sensors that are used as components on the vehicle hydrogen regulator controlling hydrogen flow to the fuel cell stack. Also approved are the 35MPa range of pressure sensors that are typically used on Class 3 hydrogen tanks for use on buses, forklifts, cars, farm machinery, off-road vehicles and stationary back-up power systems.